The perfect place for you and your family to call home. You will know you are home as soon as you arrive. Big city style meets easy desert living. It’s included: Porcelain tile floors in the entry hall, dining room, living room, kitchen, baths, and laundry. How about a pool and spa to go with that view? Be sure to ask our sales team. Open spacious feeling: Enjoy 10-foot high ceilings and 8-foot high doors throughout the home. All our homes include Wi-Fi controlled thermostats. 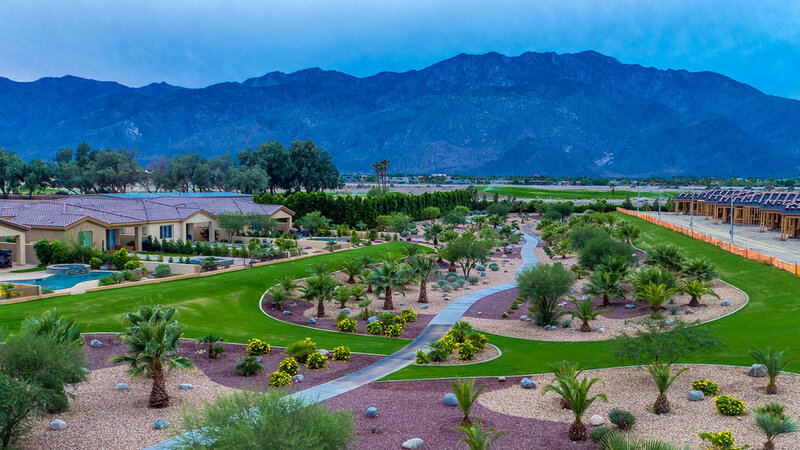 Did you know Desert Princess Country Club offers a 27-hole championship golf course? For your convenience, all our homes include an interior laundry room with a sink and storage cabinets.